Augmented and virtual reality are both relatively new technologies that are on the rise. Pokemon Go recently increased the relevance of augmented reality and its potential in marketing by showing the potential it has for companies that are willing to adopt the new technology. The app received more engagement and interaction than Facebook, Snapchat, and Twitter on average. It gave consumers a chance to interact with the world around them, an idea marketers need to capitalize on. The idea of virtual reality was introduced to consumers through smart technology that can be brought into their home. Both of these advancements make marketing efforts more impactful, and allow the consumer to interact with your brand in exciting ways they have not been able to before. In the multifamily industry, augmented reality (AR) and virtual reality (VR) can be used to display property renderings and allow customers to interact with them before construction begins. You can create a virtual tour for people who may not live close-by or are simply browsing options, allowing them to explore floor plans and amenities without the travel. 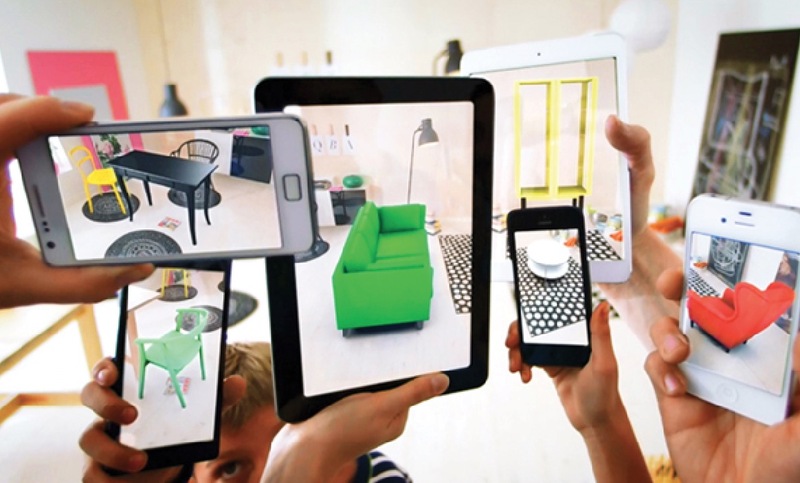 The opportunities with AR and VR are endless, allowing for creative digital marketing campaigns and features that appeal to target residents. Video accounts for 33 percent of all activity happening on the internet, which means a large portion of the market can be reached with the use of live videos. They consistently see more engagement with followers than any other form of content. The two best sites to utilize for live videos are Facebook and Periscope, because they can be viewed even after the live streaming has ended. Live videos are an effective and engaging way to show off resident-exclusive events, grand openings, or other celebrations that bring excitement to your brand. Live videos invite your followers to see and be part of what you are all about, letting them get to know the faces behind the brand. And while live videos are a fun way to interact with your audience, they can also be used to provide information about upcoming events, specials, or new properties in the works. This strategy builds your brand's credibility and trustworthiness because you’re not bombarding your target resident with promotional content. Instead, you’re leading them to your site organically and building that relationship. In 2017, it will become crucial to take advantage of sponsorships on social media and other platforms in order to maintain and grow your target audience. Artificial Intelligence is complex and advance, making it similar to augmented reality and virtual reality. AI is redefining the customer experience, but is a concept that marketers have to experiment with. Developers and properties that are willing to accept the challenge of adopting AI will see great payoffs in the future. Those who have already adopted artificial intelligence into their company structure expect to see a 39% growth in revenue by 2020. In addition to this, they expect a 37% reduction in costs. AI can be applied in many ways, but has been used to build websites, segment customers, and in the automation of big data. While this is an expensive and time-consuming addition to your company, it has the ability to improve your marketing efforts and results greatly. A strong AI strategy can lead to more cost effective campaigns, as AI can gather and process large amounts of data more quickly, allowing you to develop marketing material earlier on. More effective marketing items will result in more leads, and eventually more customers. Your target audience will be able to relate with specific material, which will aid in building a long-term relationship with residents. These are the major digital marketing trends your company should be looking for in 2017. If you are able to adopt some, or all, of these forms of digital marketing, you can expect to see greater returns on your strategy. Multifamily development is booming this year, and great customer service is one of the main factors residents look for in a community. By utilizing digital strategies such as Chatbots, artificial intelligence, virtual and augmented reality, or live videos, you will be better positioned to reach your audience in a variety of ways .